If you're hiking and camping, then you will need to give some close consideration to the equipment you're going to have to carry around. One of the most essential pieces of kit will be your sleeping bag. Sleeping bags arrive in a complete array of styles, for warmth, weight, durability and functions. It's worth thinking about shape and size. Unless you're hoping to share the same sleeping bag (double size sleeping are available) then ideally you want something which does not restrict movement too much but is also compact and lightweight. Generally, for hiking, a mummy style sleeping bag will see you through both summer and winter months depending on quality. They are often easily packed away hence good for traveling. 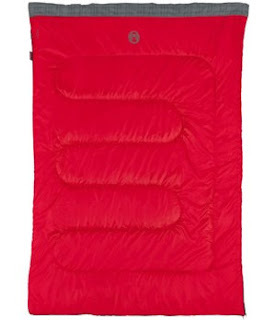 You will find that most sleeping bags are graded by season and in degrees Celsius. This will enable you to purchase a sleeping bag which is more tailored to the conditions you plan to use it in. 4 is for winter (up to -10 degrees Celsius) and 5 is for much colder weather (-15 degrees Celsius). In addition to this, accessories can help, adding more warmth such as: sleeping bag heaters (if you find yourself stuck in an emergency), mats to help insulate against heat loss from the cold ground below, and sleeping bag liners. For the outer lining, 'down' sleeping bags are usually higher priced than synthetic sleeping bags, they also should last longer. The problem with down sleeping bags is that they tend to be less effective in damp or wet conditions. If you want something a bit more water repellent then look for a sleeping bag with a synthetic shell, ultralight shell fabrics often have a durable water-repellent coating which will help to keep you dry, and from experience, trying to get a nights sleep in a damp sleeping bag can be quite unpleasant. For the inner lining and further insulation we have two basic categories. Down, and synthetic insulation. Down will work to keep you warm in a dry environment which is cold, with a high weight to warmth ratio (down insulation is usually measured by once ounce per cubic inch). If warmth is not such an issue, and you're concerned about damp then you should consider the machine washable damp-repellent with synthetic insulation. Other factors to consider are hoods (great for really cold weather), draft collars or draft tubes which are stitched behind the zip. Ideally, once you have a general idea of what type of sleeping bag you're going to require, you will need to seek some professional advice. From past experience, if you don't find a sales person who knows their down from synthetic then there's a possibility you'll end up walking away with the wrong type of sleeping bag for you, and if you're stuck on the top of a mountain or fell with the wind howling and driving rain, it may just be too late to think about where you placed that receipt. For some good advice on camping equipment in general, Camping Online based in Derbyshire, can offer some good tips and they stock a wide range of sleeping bags too. Never heard of sleeping bag heaters. Interesting.